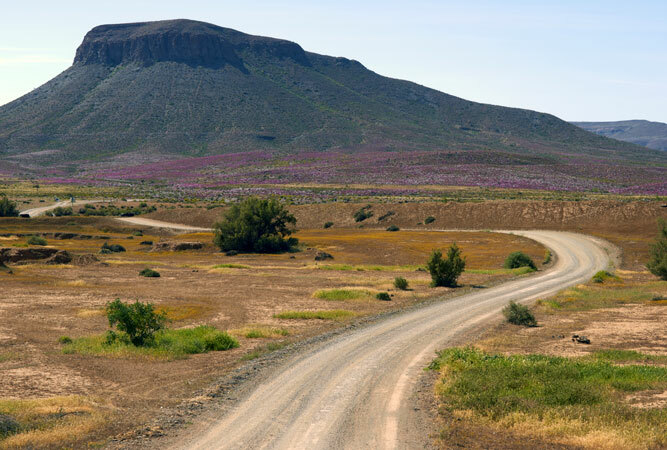 For many the Karoo is a great expanse of (dry) land somewhere in the middle of South Africa. Just where this place of great heat and frosts, with an annual rainfall of next to nothing, starts and ends is a mystery, expounded by the impression that its extent is unknown (although we estimate it as nearly 400 000 square kilometres). 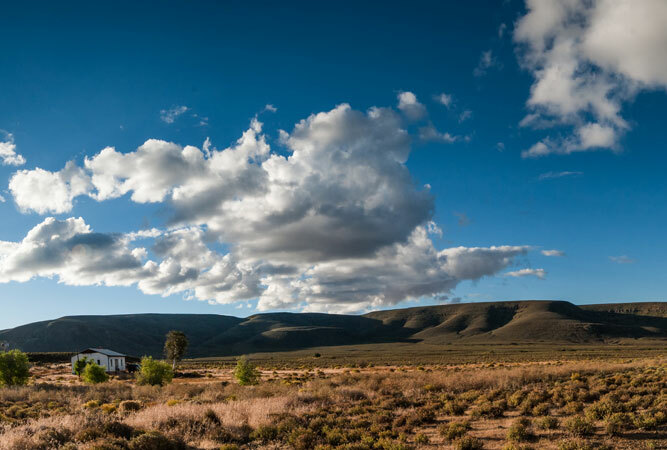 A closer look reveals that the Karoo is split into the Great and Little Karoo. Divided by the Swartberg Mountains that run from east to west, parallel to the southern coastline. The Great Karoo lies to the north, the Little Karoo to the south of it. The Great Karoo is further divided into the upper and lower Karoo. And the upper Karoo, in turn, is also known by other names, depending on the sub-region – Hantam, Kareeberge, Roggeveld and Nuweveld. Prieska lies at the foot of the Doringberg, on the south bank of the Orange River. It is known for its semi-precious stones (on top of Prieska Koppie is a British stone fort built entirely from tiger’s eye). The Ria Huysamen Aloe Garden, on the Rock Garden Route, is filled with almost 70 species of aloe, the rare halfmens (a tree-like succulent that can grow as high as 4 metres, its single-stem giving it the appearance of a small person, from a distance), and other succulents. 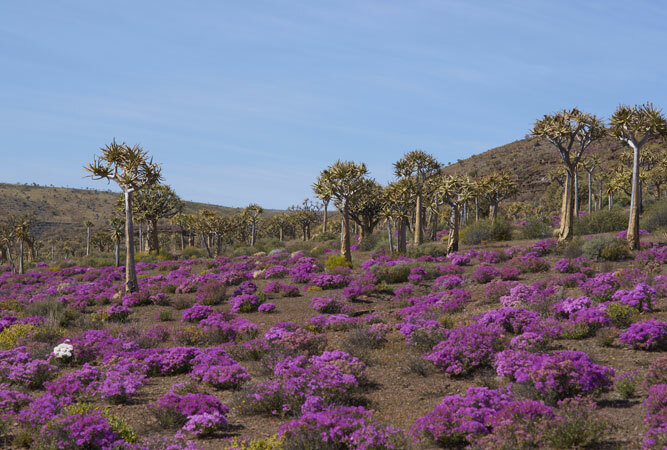 This 80 000 hectare reserve lies in the heart of a Biodiversity Hotspot known as the Succulent Karoo – one of only two Southern African Hotspots (the other is the Cape Floral Kingdom). The koppie-studded, moon-like landscape with its high diversity of succulent plants, a fine list of birds (including Burchell’s courser and black eagle pairs) and the imposing Roggeveld Mountains combine to make this one of the most magnificent parks in the country, and a fitting backdrop for Afrika Burns, the annual freedom of expression festival. You choose whether you want an adrenaline rush down the Orange River from the Vanderkloof dam as far as you choose (even as far as the sea) or a more sedate kayak adventure on the waters of the dam. You also get to specify for just how long you want to be on the water – anything from a day trip to three weeks. In either event you experience the scenery of the country’s second-largest dam that stretches for 100 km, when full. A ride for anyone from beginners to experienced mountain bikers, the New Holme Karoo Guestfarm offers a ride through the sand, plains, rocks and kopjes of the Karoo Gariep Conservancy, a route to test your balance and strength. Along the way is a technique park with continual ridges. The circular routes are between 30 and 58 km. Loeriesfontein is not on any of the major routes in the Karoo. Still, it is worth a detour for the Fred Turner Windmill Museum, an open air museum alive with windmills – every type you can think of. One of only two such museums in the world, the town is quiet enough that on a blustery day, all you hear is the sound of the blades turning in the wind. 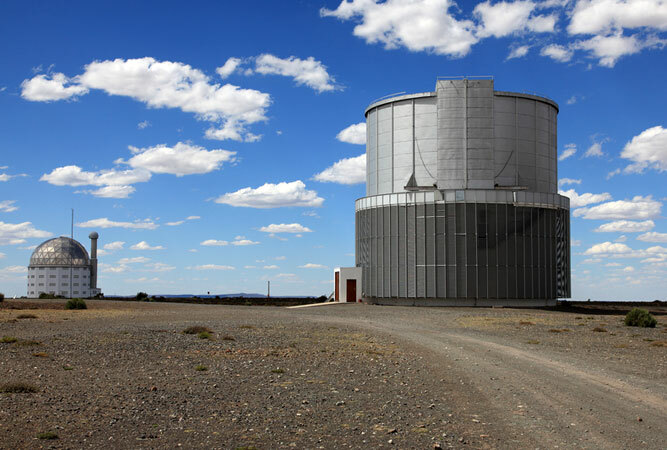 Sutherland is the site of the Southern African Large Telescope, also known as SALT, the biggest single optical telescope in the southern hemisphere, able to record distant stars, galaxies and quasars a billion times too faint to see with the naked eye. During the week you have the option of two guided tours a day, or four night tours a week (book ahead!). Alternatively Sterland, just outside Sutherland, offers stargazing sessions every night with an indoor presentation that explains the constellations of the universe. A circular trail set in the rocky mountains of the Karoo, with enough sand and mud along the Upper Fish River to promise more than a fair bit of adventure. This is a self-drive route within the Roggeveld Mountains, just off the R357 near Sutherland. Find out more here: Skurweberg Trail. Colesberg is the perfect halfway mark between Cape Town and Johannesburg, but it also is rich with examples of early Karoo architecture, many of them still in mint condition. 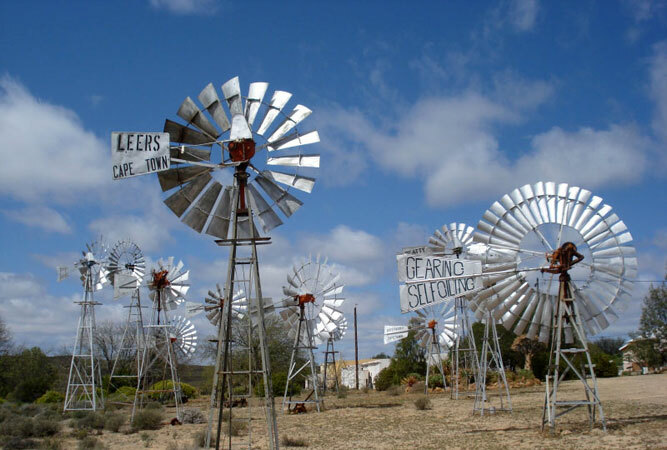 The Information Office is not difficult to find, and offers guided walking tours that include a visit to the old horse-driven mill pub, and the Colesberg-Kemper Museum. Richmond lies just off the N1 roughly 4 hours’ from Bloemfontein. Its main street is rich with period 19th century Karoo architecture and there are more than a couple of book stores for Richmond is a book town, the only one on the African continent. It hosts at least two annual book festivals, and books are so plentiful they seem to fall out of windows (too many books mean that windowsills are used as shelf space). You don’t need to be in Richmond when the book festivals are on, as there is plenty to browse on any day, but the festivals add a great deal of festivity to the town. See a previous blog post here.